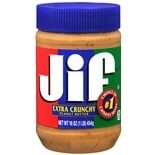 Shop Jif Crunchy Peanut Butter Spread (16 oz. )16 oz. 2 for 5 dollars and 00 cents or 1 for 2 dollars and 99 cents 2/$6.00 or 1/$3.49 $0.19 / oz. Shop Nice! 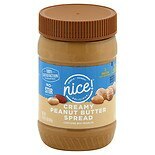 Creamy Peanut Butter Spread No-Stir (16 oz. )16 oz. 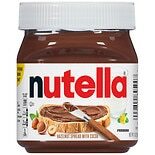 Shop Nutella Hazelnut Spread (13 oz. )13 oz. 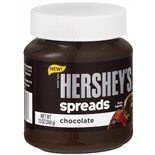 Shop Hershey's Spreads Chocolate Jar (13 oz. )13 oz. $479$4 and 79 cents$0.37 / oz. 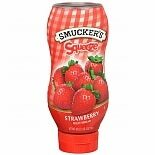 Shop Smucker's Squeeze Fruit Spread (20 oz. )20 oz. 2 for 5 dollars and 00 cents or 1 for 2 dollars and 99 cents $2.99 $0.15 / oz.